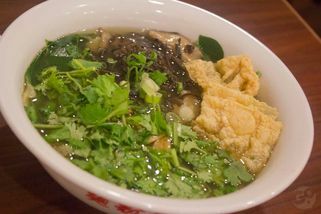 Part of the Noodle Shack chain. From the car park entrance (P1), turn left towards the dining areas of Ikano. The restaurant is located left and in front of Teppanyaki restaurant. 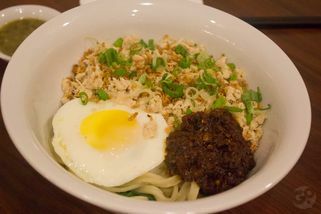 Traditional Chinese noodles get better with Noodle Shack. Tucked away along the ground floor of Ikano Power Centre in Damansara, Noodle Shack is committed to deliver a healthier choice for Chinese specialities, without MSG, artificial flavouring, preservatives, and less oil and less salt. 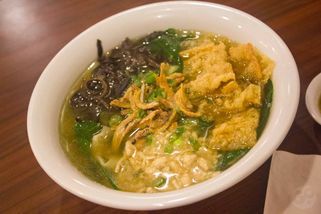 A list of their delicious and healthy Chinese noodles includes Traditional Mian Fen Guo (soup), Seaweed & Egg Fen Guo, Salted Fish Dry Noodle, Bean Curd with Bean Pasta Sauce (side dish). 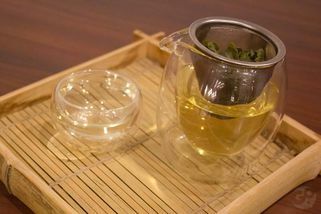 What’s more, they have an assortment of fresh, hand-picked Chinese teas like Premium Tie Guan Yin and Fermented Puer. 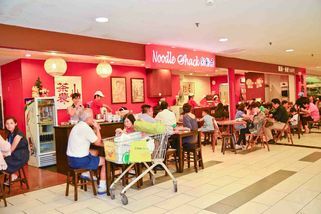 Apart from their delicious meals, Noodle Shack offers a warm and comfortable dining experience with Chinese-inspired interior decorations, which has helped Noodle Shack make waves throughout all races. Dine away with no regrets at Noodle Shack. 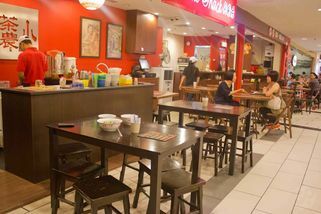 Other outlets can be found at One Utama and Setia City Mall. Opens daily at 9.30am - 10pm. 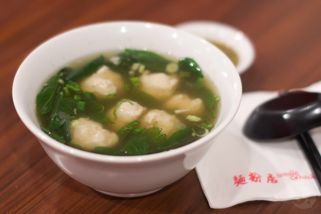 "Famous spot for healthy meals.."
Its simple, tasty and healthy. What more canIi say? A fan of their Sambal Chilli Shrimps Noodle and Stuffed Tofu with Bean Paste Sauce. These two dishes are definitely my favourite. Since the restaurant is located in IPC, you can bet that is always packed, especially during the weekends. SO, better be early or you have to wait to be seated. hehe. Me? I always end up tapao the food.